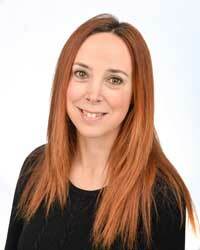 Lindsay Heath -Mind and Body Therapist, Newbury. in a relaxed and supportive atmosphere. I am a Mind and Body Therapist specialising in supporting women with long-term physical or emotional health concerns. I treat people with a range of symptoms including fatigue, headaches, stress and anxiety, joint and muscle pain, digestive issues, low mood, skin conditions and lack of self-esteem to name just a few. Having had ME (chronic fatigue syndrome) for over 15 years, with a combination of physical and emotional symptoms, I can understand what many of my clients are going through and can guide them through their recovery with compassion and understanding. release blocks in your body’s energy system. I can also offer hypnotherapy for day-to-day concerns including fears and phobias, nerves, insomnia, weight management, quit smoking, motivation and more. I have a Diploma in Clinical Hypnotherapy, Certificate in Energy Healing and Certificate in Anatomy and Physiology. Warm and friendly staff will greet you on your arrival and comfortable relaxing, modern treatment rooms are used to give you a totally regenerating experience. The Fairbourne Clinic offers a wide range of therapies by fully qualified therapists in quiet surroundings at affordable rates. Although based in Newbury, West Berkshire we have clients who travel from Thatcham, Hungerford, Sandhurst and Didcot. People have sought us out from Abingdon, Winchester, Wantage and Witney. Our reputation has travelled as far as Southampton, Oxford, Wokingham, and Swindon. There may be other clinics in Portsmouth, Whitchurch, Reading and Bracknell, but clients will still come to us for the best in holistic complimentary medicine. Whether you live in Salisbury, Andover, Crowthorne or Basingstoke give us a call and come and visit us - you'll be pleasantly surprised.